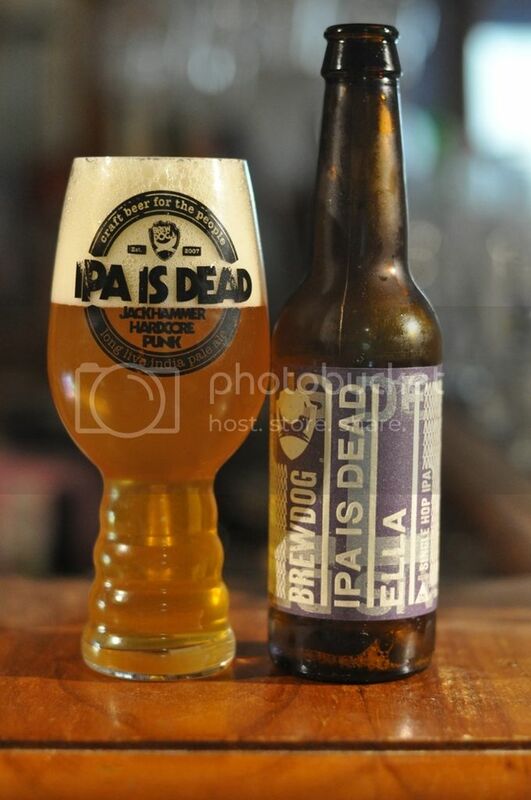 BrewDog's IPA is Dead returns to Beer O'Clock Australia in 2015. This yearly release showcases some of the best hops hops on the planet. 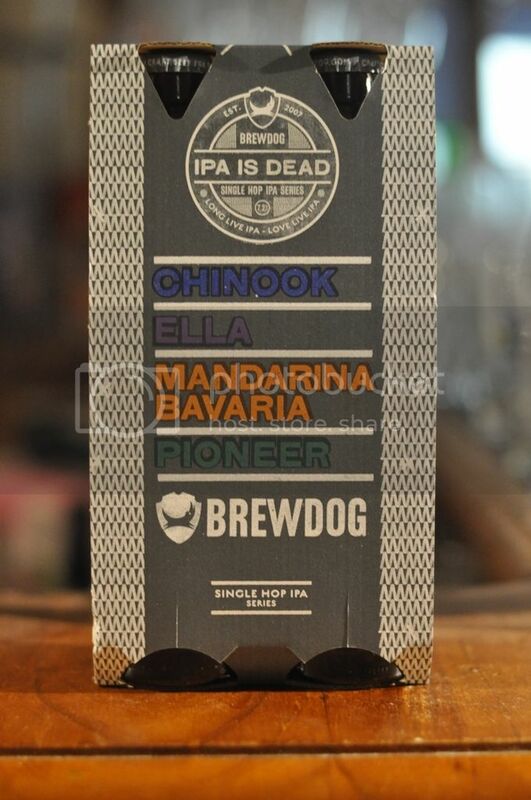 This year BrewDog is using Chinook (US), Pioneer (UK), Bavaria Mandarina (Germany) and Australia's own Ella. I can't say I'm overly familiar with the German or British hops so I'm really looking forward to this year's pack. Like last year we are operating off a base beer that clocks in at 7.2% ABV, which I thought allowed the hops to shine through that little bit more than the previous incarnations. From last years pack, EXP 366 (now known as Equinox) has become quite a popular hop, who knows if Ella or Bavaria Mandarina will follow this year and become more popular outside of their home markets. 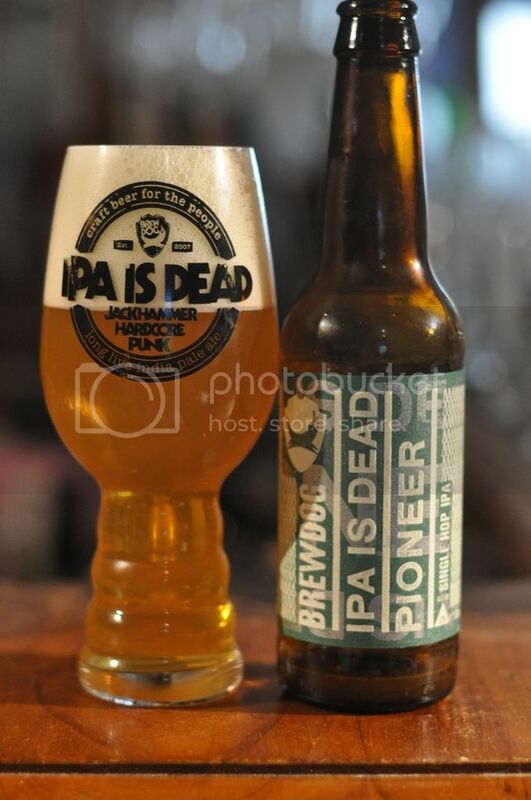 For the fourth year running I'm going to use this intro from the first IPA is Dead review that I wrote. "The experiment, as before, is simple: Four single hops start out with the same malts, the same ABV, the same IBUs, the same everything, except that each one is made with a different hop strain to showcase their individual character and talent." As I do each year, I'm starting off with the American varietal. Chinook is one of the 4 "C" hops coming out of the U.S., alongside Cascade, Centennial and Colombus. I've tried alot of beer that utilize Chinook hops, but can't say that I could 100% identify them. 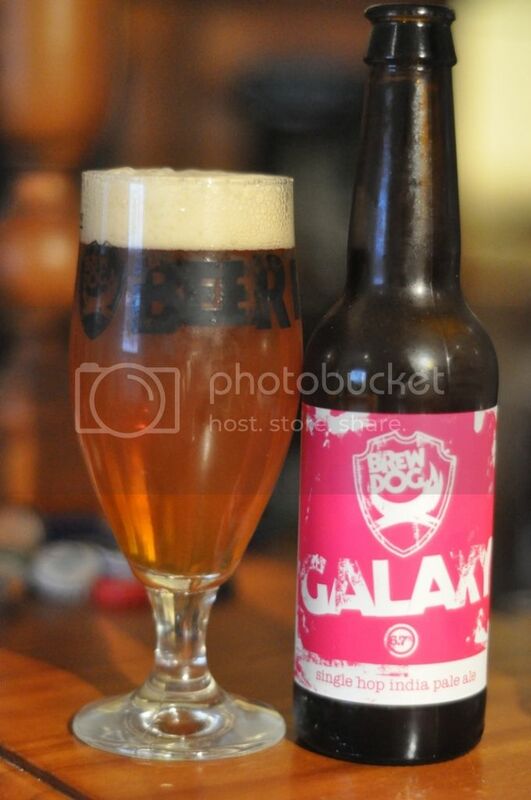 So, this should be a good learning experience for me - thanks BrewDog! The nose is packed full of pine and has an interesting spicy herbal characteristic. What this spiciness is I'm not sure, but it is quite unique. The flavour is much more straight forward, with pine being the main taste. There is a bit of grapefruit and mango, but pine is definitely the key element. Chinook tastes like a big American hops, as (sort of) expected. Pioneer is a name that I've heard alot in beer circles. I can't recall having it in a beer, but it's probably widely used in English ales. I understand it's from Kent, where most of the English hops are from, but that it's a bit different from your average earthy UK hops. The people who told me this wasn't like most English hops were spot on! The nose was quite interesting with plenty of citrus and these odd herbal qualities. Grapefruit was the main flavour and there was a resin flavour that wasn't pine. The herbal qualities are quite different to those in the Chinook, it's far less spicy and more like a garden herb - think Thyme (even though it's definitely not Thyme...). My hunch was correct! 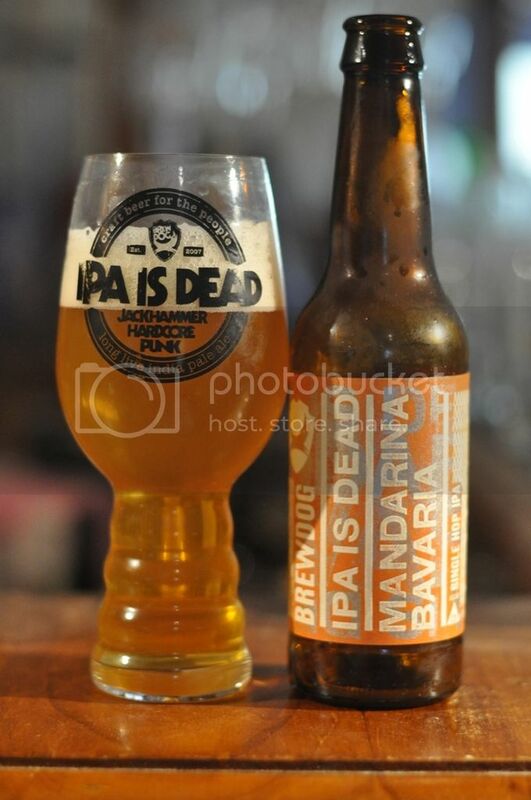 The Bavaria Mandarina Single Hop smelt wonderful with citrus (and what I'm assuming is mandarin) dominating the nose. The flavour is similar with a fruity citrus (mandarin, orange, tangerine - something along those lines) the strongest flavour. There's a bit of tropical fruit as well an oily resinous quality, which doesn't seem to impart much flavour. My assumption was right, this was a lovely IPA bursting with tropical fruit flavours, particularly apricot, and pine resin. Towards the end there is a hint to it's spicy side as well as hints grassiness. The bitterness came through really nicely in this example as well. It's a great example of a Single Hop IPA with Ella, for a local example try the Bridge Road Brewers one. I was a little worried that I may have left these a little too long and that the hops may have faded, but there was still more than enough flavour and bitterness. I've mentioned a few times that I'm not huge on the new bottle artwork, and I'm still not, but they are slowly growing on me. My favourite this year was the Mandarina Bavaria, with the Pioneer bringing up the rear. 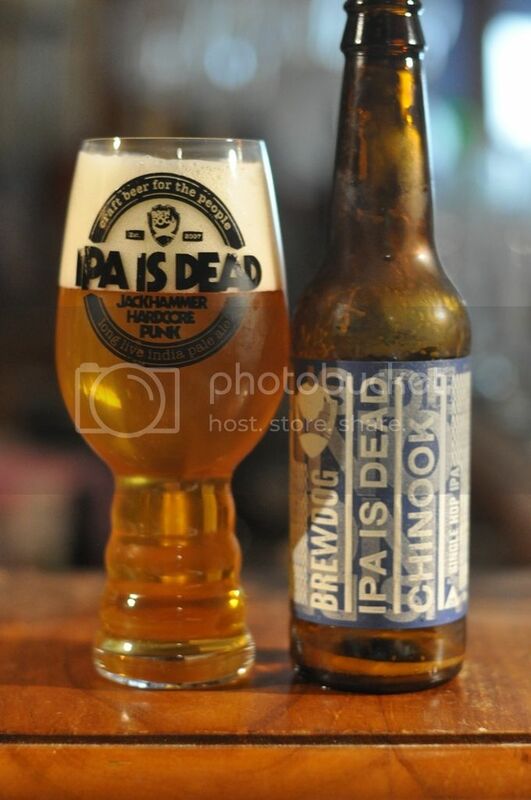 If you're interested, find the links to the IPA is Dead reviews from 2012, 2013 and 2014 by clicking on the year. This year's pack was one of the best and I can't wait for next years!